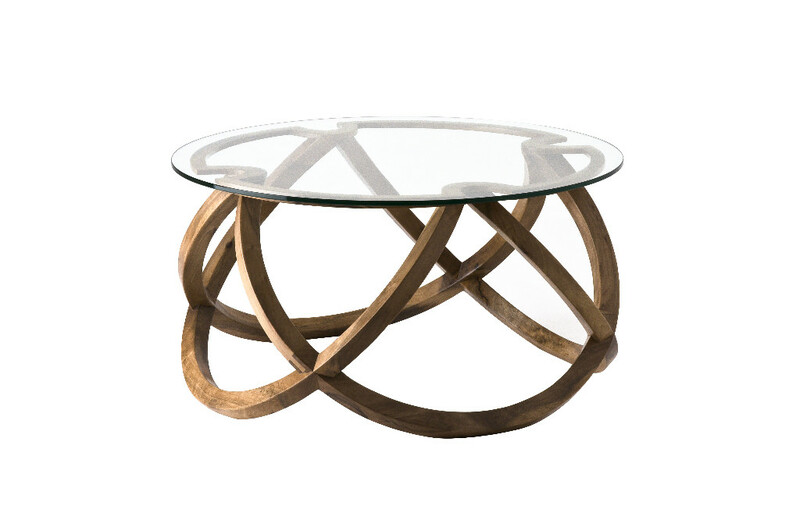 A coffee table. 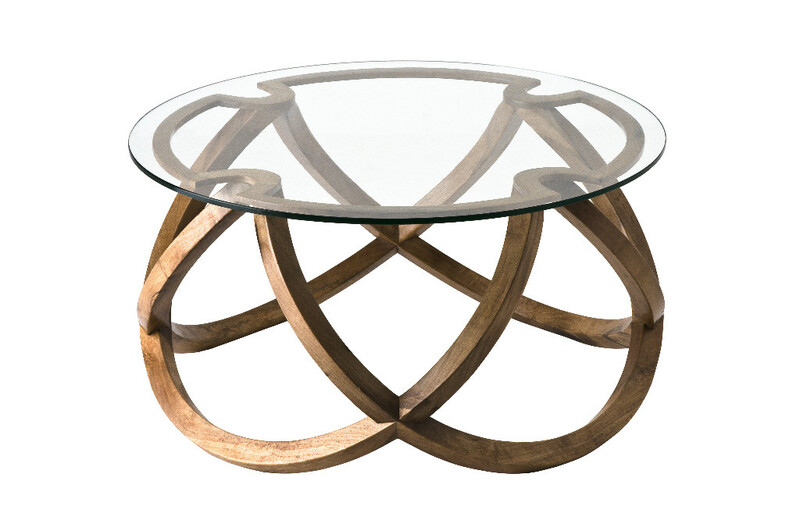 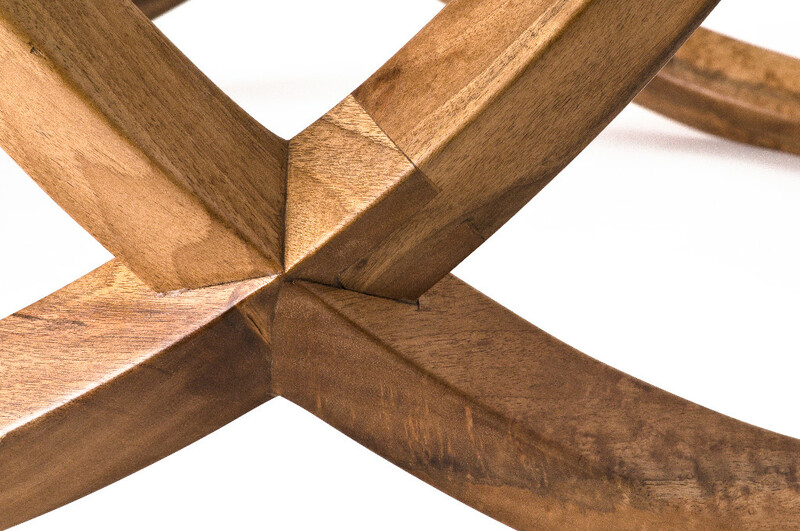 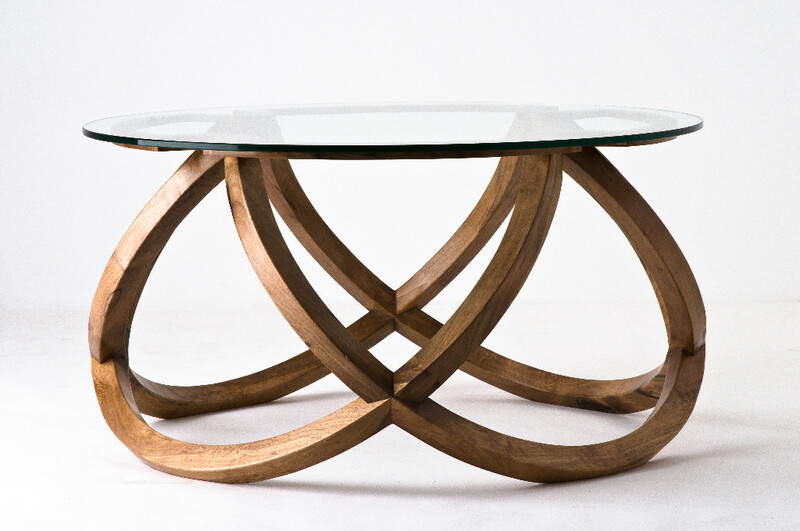 Four semicircles walnut assemble them to form the support of four cross surmounted by a glass top. 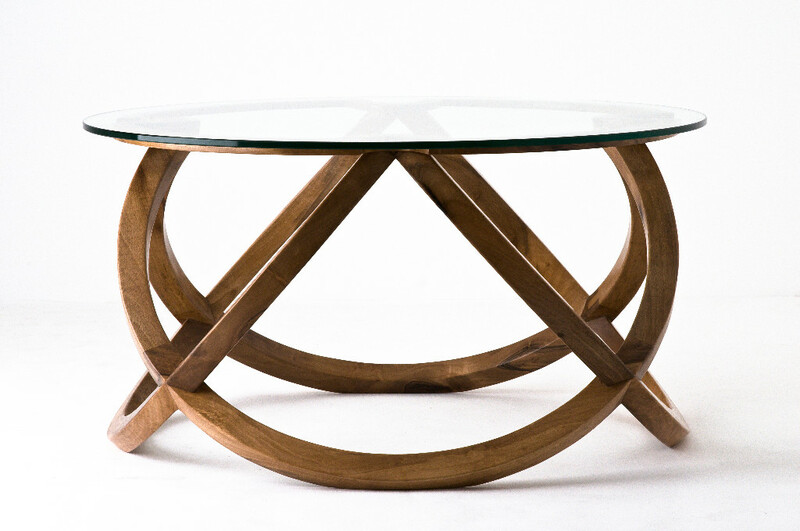 Material : Walnut wood and safety glass 10 mm thick. 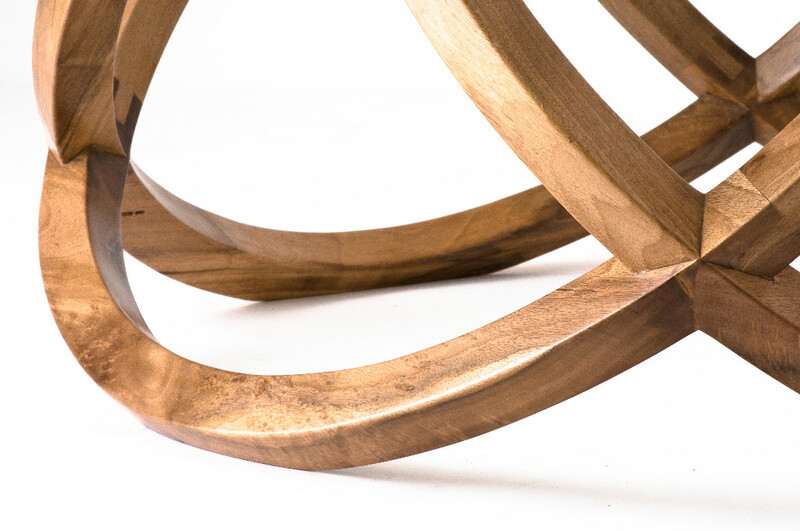 Traditional finishing polish (beeswax) applied hot to allow a good fit and a patina over time.